This is one of the most dreaded times of the year for many students. Summer break is over which means students will be heading back to school. For most students, this means dealing with homework, midterms, sleepless nights, and trying to find a date to the dance. Not to mention trying to figure out what they want to do in life. Finding time and motivation to train Jiu-Jitsu can be difficult. 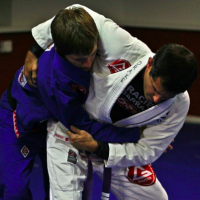 Here are some benefits to doing Jiu-Jitsu as a student. School kids tend to form groups depending on interest. This is especially true in high school. For the most part, interaction at lunch, or after school stays within the group. 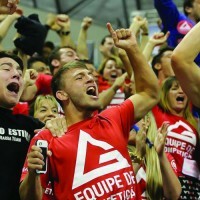 Jiu-Jitsu attracts many different types of students. It can be a great way to bridge the gap between different groups in school. This can help create a better experience in school for many students. 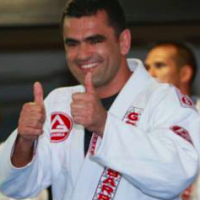 Side note: Don’t be afraid to suggest to other students to give Jiu-Jitsu a try. 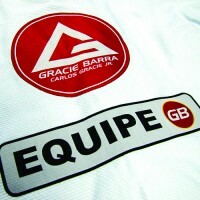 Most Jiu-Jitsu Academies offer a free intro class. Many people start BJJ through a friend’s recommendation. You just never know who will catch the bug. Students may also participate in sports such as football, or basketball. 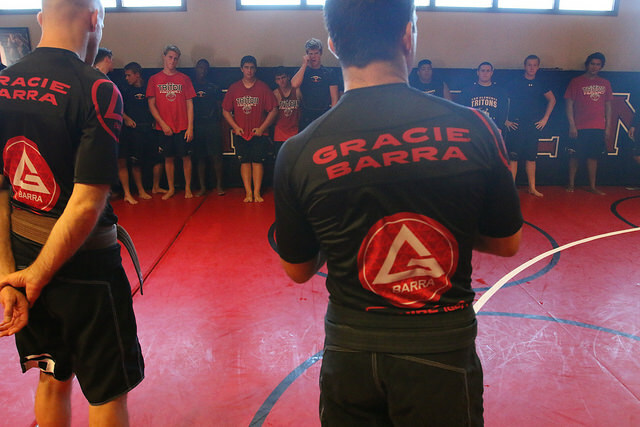 Cross training in BJJ can be beneficial during the regular or off-season. 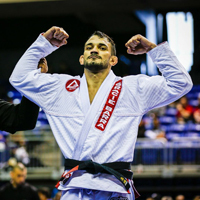 Jiu-Jitsu can help athletes achieve greater strength. By utilizing muscles in a different way, athletes can develop additional strength. 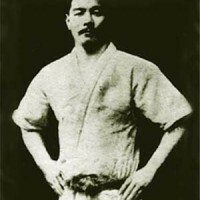 Jiu-Jitsu utilizes a person’s flexibility. Increased flexibility is advantageous in many other sports. 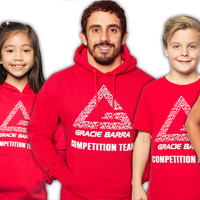 Athletes wishing to supplement there sports with Jiu-Jitsu would notice increased flexibility. The freshman fifteen is a term used to describe the weight freshmen gain in their first year of college. The weight gain could be due to a variety of reasons. Increased stress, input of junk food, and a typical college lifestyle can be causes. Regardless, going to Jiu-Jitsu on a regular basis can be a great way to stay in shape and avoid the dreaded freshman fifteen. Whether you’re a part time or full time student, school can be overwhelming. The stress of a final exam, turning in a 20-page term paper, or worrying about passing a class can get to you. Jiu-Jitsu is great to relieve the temporary worries students may have. You tend to forget the stress of a term paper when you have someone trying to choke you! Studying is great, but too much can burn you out too. Manage your mental health, just as much as you’re physical if not more. How has training in Jiu-Jitsu helped you as a student? Previous PostPrevious Eating Well is Jiu-Jitsu: Green Smoothies – Your Body Will Thank You!